Do you want to make the living experience of your loved ones safer and more secure at home? Then, you should not just depend on armed guards but also focus on the evolving technology which has enabled us to provide security to our homes in several ways. Install high-quality home security systems from us, at D & S Security. We have been catering to the safety and security of people since 1987 and are known for a wide range of services, starting with the Fire/Life Safety Systems, Burglar Alarm Systems, to the Water Flow Monitoring Systems, or the UL Central Station Monitoring and all kinds of residential security systems. If you need complete protection against all kinds of major threats in areas like Anaheim, Burbank, Long Beach CA, Los Angeles, or Torrance, then you can rely on us. Here, we have put together 2 things that you must check while buying the right security systems for your home. Take a look. Technology makes it possible to provide safety in multiple ways now. So, even your home security system is of various kinds, each one aiming to protect you better. So, check the system to understand the sort of modern, smart, and sleek features you have in your system such as a simple burglar alarm to keep you aware of things or a surveillance system with a camera or live video for 24×7 monitoring. With the invention of the Smartphone, now you can connect these high-tech systems to your phone in order to get important alerts about the occurrences in your house like whether the doors are open or offer you light and climate control facilities. These are amazing features that must be there in your security systems. 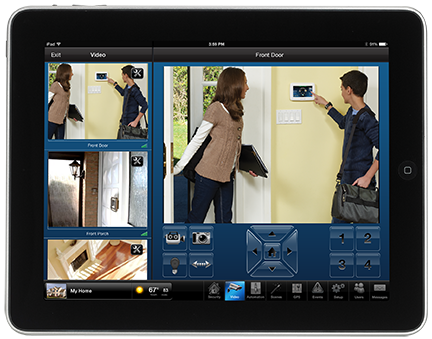 If you think we can provide you with such great things in your home security system, then call us at 800-521-1958 now.